Old, green woodshop goggles stuck to Todd Sloan’s face as he ran across a paintball field in the California heat. In 1983, he wore no gear to protect him from the welts. He carried a 12-gram, CO2-powered pump-action weapon that held eight to 10 shots. The JT Splatmaster pistol in his hand was no more than a glorified plastic gun. Paintball became Sloan’s passion. 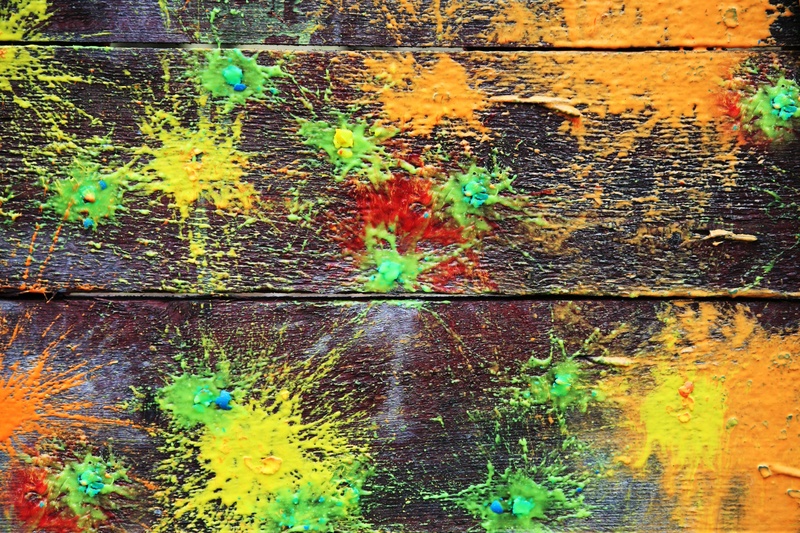 He built a paintball memorabilia wall in his house, with pictures of paintball skirmishes, shelves of paintball trophies and a display of his first semi-automatic paintball gun. He no longer has his original 12-gram Splatmaster, but he does have an active role in the activity. Sloan now referees in both the Central Texas Paintball League and Houston Paintball League – with his son, Dominic, when he’s home. This article orginally appeared May 9, 2017 on Reporting Texas. Dominic Sloan first fired a paintball gun at the age of 6. It didn’t take long for him to take up his father’s zeal for it. The two of them spent weekends competing in tournaments around the state. The hours on the road and nights in faraway hotels gave them precious father-son time they wouldn’t have had otherwise. Now the two of them are among 3.4 million Americans who play paintball, a simulated battle competition involving hazards, obstacles, strategy, adrenaline and tiny pellets that splat. In competitive paintball, combatants try to hang a flag in the other team’s territory before being shot and disqualified. Four years ago, Dominic started a competitive paintball team, the Outlaw Destruction Krew, and asked his father to be a coach. The 21-year-old is now deployed in Kuwait on a military security detachment until September. In his absence, his father runs the team, which has had as many as 44 competitors, in his absence. ODK’s home base is Outlaw Paintball in Pflugerville, which Tom Shaffer and his son, Chris, have operated since 2003. It’s the only paintball complex in the Austin area that hosts tournaments. It has lights for night battles. Outlaw has four fields, each of them offering different challenges. The fort field looks like a scene out of Call of Duty, with stone structures that appear as if no one has set foot in them for decades. The aptly named Hyperball field, which is typical of competitive paintball, is all about speed, due to its minimal cover. Spools, which has multiple structures to hide behind, is the recommended field for beginners. The final field is Airball, which is compiled of giant inflatables. Tom, 64, and Chris, 26, run the operation. In addition to owning Outlaw, they also own the Central Texas and the Houston leagues. “We do it to keep out of trouble,” Shaffer said. Shaffer and his son work together to evenly distribute the responsibilities between the leagues and Outlaw. The father handles most of the officiating, while his son runs the social media accounts and takes photographs. “It has strengthened our relationship,” his son added. The Sloans and Shaffers have a long-standing relationship. Their sons played on ODK together in 2013, and Dominic worked at Outlaw for three years while he attended Pflugerville High School from 2011 to 2014, before enlisting. Todd serves as the liaison between Tom and the other teams at Outlaw. “It’s been a great friendship,” Sloan said. Shaffer operates Outlaw in the same way Sloan operates ODK. They do it for their sons — for the camaraderie and the belief that paintball is about family. “Once you get into it you’re involved in every aspect of it,” Sloan said. “Moms come in and they’re involved in it and the dads end up playing.